Chill out this summer and scoop on this Chowking SuperSangkap Halo-Halo Summer Blowout! Every summer adventure needs to be topped with ice cream. And what’s better than ice cream? Indulging an extra scoop for FREE! Chowking SuperSangkap Halo-Halo Summer Blowout will let you enjoy a 2nd scoop in every purchase of Chowking SuperSangkap Halo-Halo. 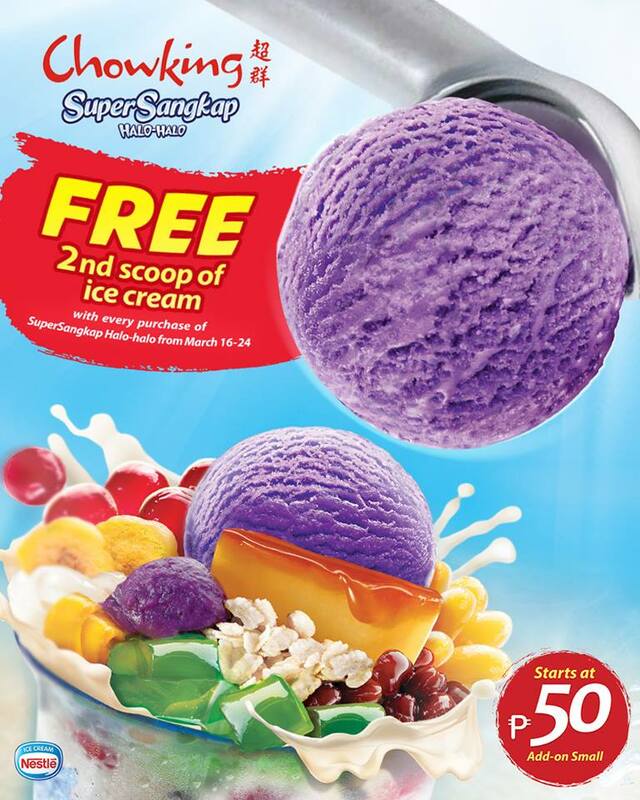 The promo is valid for all sizes (Small Add-On, Small, Regular, Large) of SuperSangkap Halo-Halo w/ Ice Cream and available until March 24, 2019. It’s easy to see why SuperSangkap Halo-Halo w/ Ice Cream is truly a refreshing dessert. 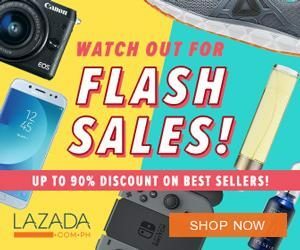 Just checkout the 14 ingredients – ube ice cream, macapuno, ube halaya, leche flan, sweetened bananas, pandan jelly, sago, garbanzos, mongo, yellow beans, nata de coco, pinipig, sweet milk and shaved ice. This is truly a heavenly treat set to delight every sweet tooth. The offer is available in Dine-in, Take-out, and Drive-Thru only at any Chowking branches nationwide. The price starts at Php50 for Add-on Small) and may vary in stores. For more details and updates, please follow their Facebook Page.